You passed Hacking 1on1 with flying colors? You evade web application firewalls as they would be opened doors? You have successfully exploitated CVE-2015-8769? Then it’s time for the next challenge! Follow us down the rabbit hole to the not so well known attacks against modern web applications. End of May eight ERNW members were travelling to Moscow (Russia) to visit the PHDays V conference. It was a very nice trip because we met a lot of gentle people, ate some great food and had quite some fun in this exciting and history-charged metropole, and we were able to get around using hands and feet (and Google translate ;-)). There are lots of interesting places to visit in Amsterdam, but if you are there between the 26th and the 29th of May, then our booth at HAXPO exhibition should be your main destination. HAXPO is a great exhibition, where you can become up-to-date with the latest security technologies, attend various workshops and get in touch with more than 35 IT and information security companies. It will take place in the beautiful historical building “Beurs van Berlage” in the center of Amsterdam. As usual, ERNW will take part in HAXPO. We will be waiting for you in the Community Village section (booth NL-018). Come visit and get to know more about us. You are invited to take our hacking challenges, where the levels of complexity vary from beginners to advanced. Furthermore, we will bring our KNX hacking suitcase! In addition to the exhibition, HAXPO offers a very interesting track of must-see briefings about security and cutting-edge innovations. Don’t miss the talks held by ERNW members! On May 29th, you will see Oliver Matula and Christopher Scheuring with their talk “When You Stare into the Sandbox, It Stares Back at You: Evaluating the APT Armor”. On the same day Rafael Schaefer and Jason Salazar will lead you through “Pentesting in the Age of IPv6”. During one of our last projects in a large environment we encountered an interesting flaw. Although it was not possible to exploit it in this particular context, it’s worth to be mentioned here. The finding was about Cross-Site Request Forgery, a quite well-known attack that forces a user to execute unintended actions within the authenticated context of a web application. With a little help of social engineering (like sending a link via email, chat, embedded code in documents, etc…) an attacker may force the user to execute actions of the attacker’s choice. 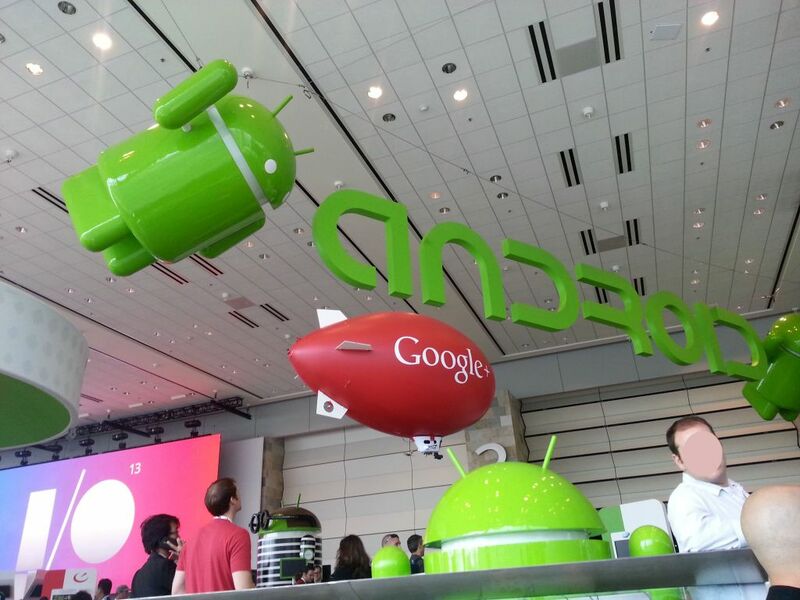 From 15th – 17th of May, the sixth Google I/O conference took place in San Francisco, California and I was one of the lucky guys attending. More then 5500 people, primarily web, mobile, and enterprise developers, attended this annual event. A lot of presentations included announcements of new and exciting technologies, APIs as well as of two new devices. During the first minutes of the keynote some of Google’s managers announced that by now over 900 million Android devices are activated and that 48 billion apps are installed, which demonstrates that this market is still heavily growing. As the major part of the audience were (app-) developers, these numbers were received quite greatfully and euphoric. Google Play Music All Access, which makes it possible to stream music legally for a monthly fee (comparable to spotify). Underwater Streetview, where Google tries to capture all coral reefs worldwide in order to enable virtual diving. The new user interface and features of Google+, which make it easier to use the social network while providing more functionalities (e.g. automated sorting and quality assurance of uploaded holiday pictures). Google Maps, which now provides more intelligent localization features for target locations of users as well as clouds hovering over the world in realtime. “Sign in with G+” which is a OAuth2 based Single Sign-On that can be used to replace all kind of web authentication mechanisms. 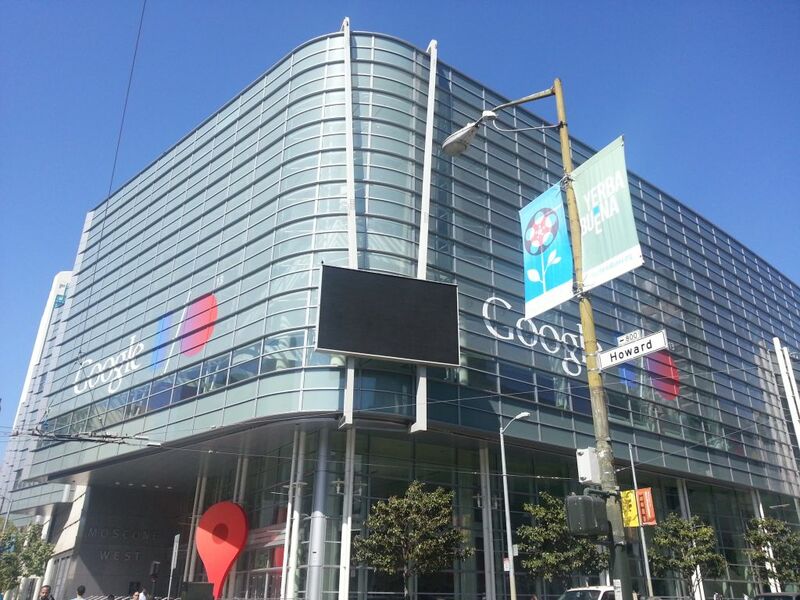 All in all Google I/O was a very impressive and informative event. In some kind I felt amazed like a child when I saw all these crazy Android figures hanging around and being surrounded by remotely controlled zeppelins flying through the building. P.S. : All talks can be reviewd here. 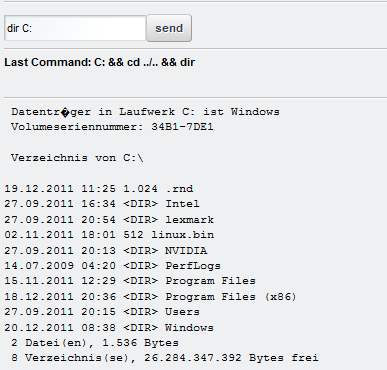 During one of our pentests in some corporate environment we were to analyze an application-server called Liferay. Liferay comes with a lot of functionalities, runs on top of Apache Tomcat and includes a nice API that makes it very easy to add components or further functionality that are not part of the core. These (potentially selfmade) “addons” are called “portlets” and they can be inserted in any place in the frontend. We quickly found an active default-account (test@liferay.com : test) which immediately led to the question: how to get access on the system-layer through the account on the application. Because we were not aware of any portlet which provided the desired functionality, we decided to write it on our own and created a straight-forward portlet for system level command execution. As mentioned above, Liferay offers an API for adding portlets to the core. This can be done by creating a standard war-file which contains java-classes, including the desired functionality and some – in this case – Liferay-specific xml-based configuration files. War files are often used to expand the functionality of java-servers (e.g. Tomcat can also be extended via war-files) – it just needs to contain the application-specific xml-files. Our java-class includes a html-form consisting of an input-field and a button, which sends commands (via GET) to the server. On the server the input gets executed in a shell – a new java HTTP-Shell is born. After some adjustments regarding to the operating system and the java compiler (1) we had a GET-Parameter-based HTTP-Shell. How to create the war-file? How to deploy the war-file? 4.) Now go back to your mainpage via the link in the upper area “Back to Liferay”. Then click “Add” -> “More” and you will see all categories in which the portlets are sorted. 5.) If everything went right you will find a category named “Ownage” in this list. Click on it and drag&drop the shellportlet anywhere on your website. This shows – once again – that it’s not that hard to gain system-access over a (web-) application. Everyone who uses web-applications should secure the higher-privileged accounts by strong passwords or better deactivate them in case they are not needed. It also shows that – once again – comprehensive and reasonable hardening would have prevented the compromise of yet another system.